Instead of using the hole images area to calculate the statistics you can with this function to assign a grid on the image like a chess board, and step through each square and calculate the square statistic. A interpolate is calculated between the squares and the new pixel value is assigned the interpolated value from the surrounding squares. equalization will show all features in an image. Some areas will be to dark and some to bright. 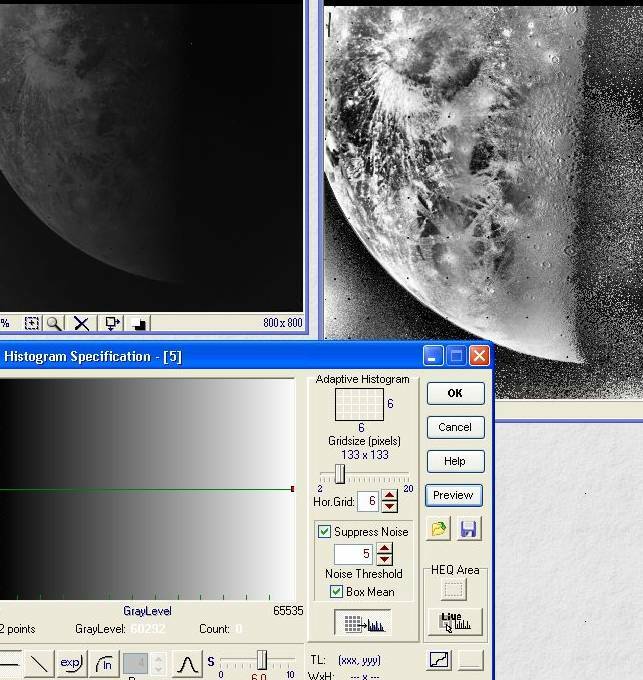 you can use 'Adaptive' Histogram Equalization. This routine produces different lookup tables for each square area of the image (size is user selectable) and then interpolates across boarders to avoid checker-board artifacts.